View from the Window at Le Gras, Joseph Nicéphore Niépce (1826 or 1827). 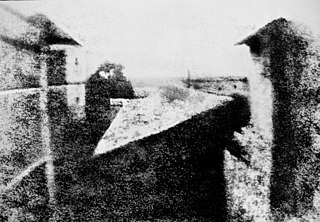 Joseph Nicéphore Niépce captured the scene with a camera obscura focused onto a pewter plate coated with Bitumen of Judea, a naturally occurring asphalt. 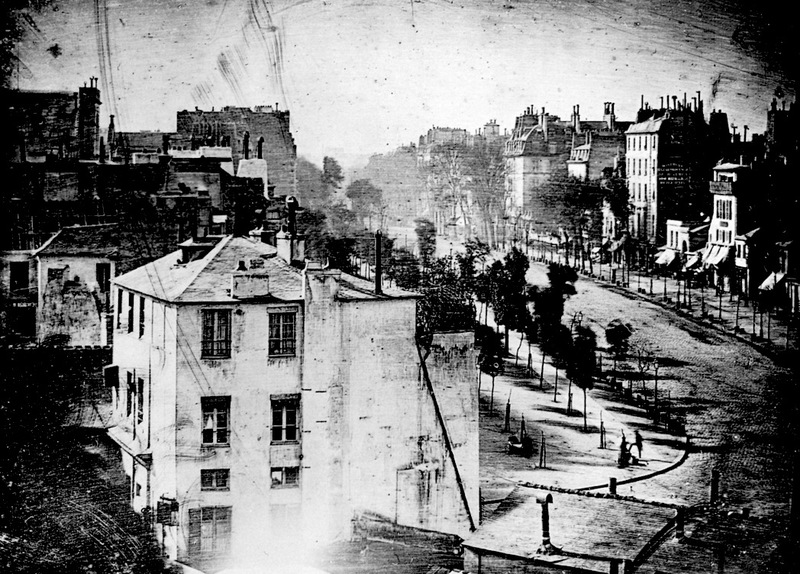 “Boulevard du Temple“, a daguerreotype made by Louis Daguerre in 1838, is generally accepted as the earliest photograph to include people. It depicts a boot-black with a customer on a street corner in Paris. If you look down in the bottom right-hand corner, there’s a tiny black figure with a stovepipe hat and his leg at an angle. There’s an excellent analysis at alistairscott.com/daguerre/ including an account of how the photograph survived the bombing of Munich in 1940. If you follow the link and click on the picture over there, it will open up a larger version where you can see the details – the cobbles on the street surface, the awnings of the shops along the boulevard, the painted advertisement on the side of a building. But the one which haunts me, with the same ghostly quality you find in the film Vampyr (1932), is Ramoneurs, by Charles Nègre. Although Ramoneurs dates to 1850s, the Paris in the background is much the same as the Paris in the boot cleaner photo. 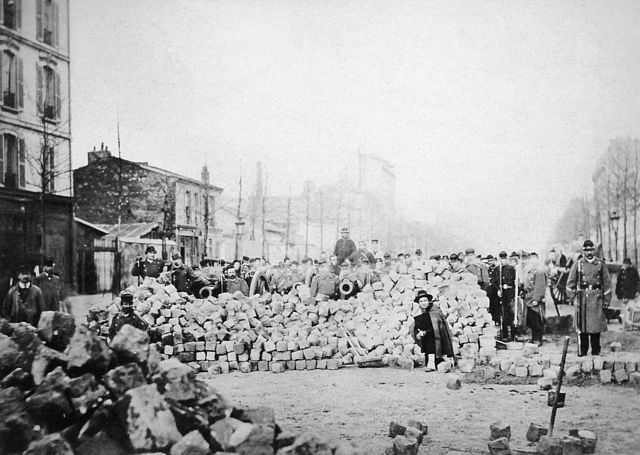 Other photos of Paris from this early period show the streets, the houses, rarely the people. This was due to the long exposure times required for the image to ‘take’ on the negative. 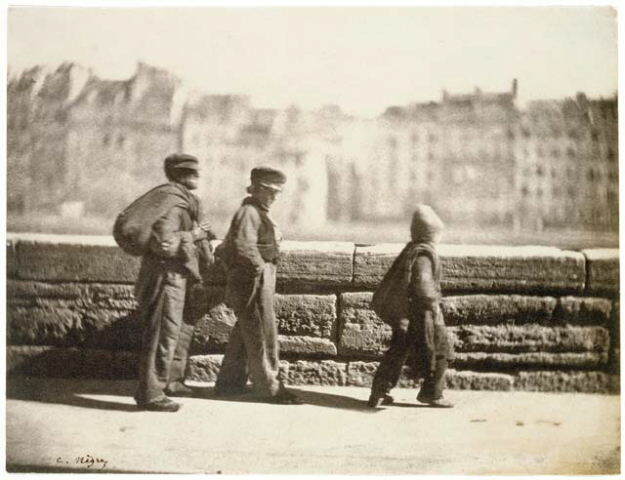 In my search for a copy of Ramoneurs I also came across another photo of the same trio, Trois ramoneurs au repos quai Bourbon, where the two figures on the right are seated facing the camera and the boy with the bag is staring out over the quai. Up to that point, you could be forgiven for thinking these chimney-sweeps weren’t so young, but go look at them sitting with their backs to the wall and see if you don’t agree: they’re just kids. I could spend ages roaming around websites with early photographs. It’s a form of archaeology, after all – how the past actually looked, which we can use to compare with how the remains present themselves on the ground. Taken twenty years after the events in SHADOWBOX, do these photographs show what Paris might have looked like, even a little, in 1832? Next in the SHADOWBOX series: Camera Obscura. Join me on the trip by subscribing to the blog posts or joining my email list – just sign up on the right. And bring a lantern.